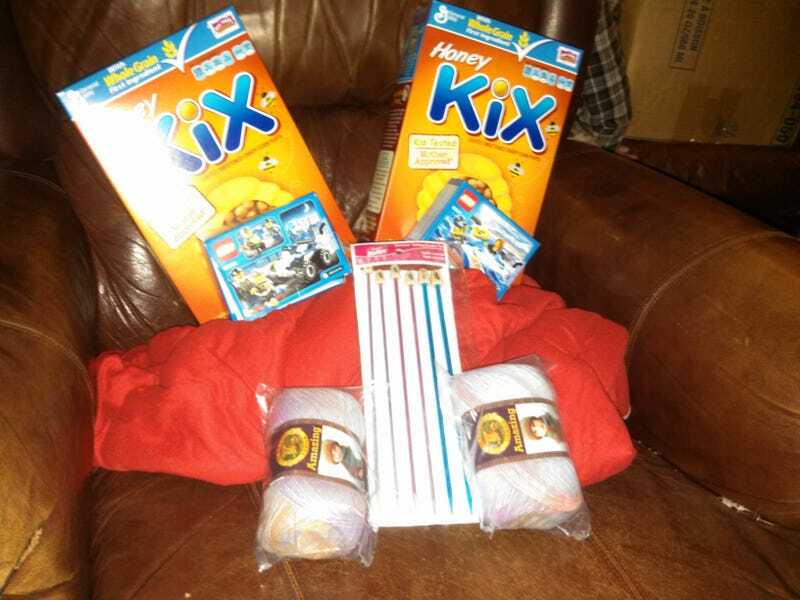 To the lovely, lovely person who sent the Honey Kix and 2 Lego sets for the boys, and knitting needles and yarn for me: thankyouthankyouthankyou! (And, no, I'm not creeped out. Lol. I got the notes in the box, but I don't know if people want to be named or not, so...?) I didn't realize you could go off of the wishlist and send stuff, though, which is cool!